Description Use fire and gravity to solve a new set of Halloween themed physics puzzles. Your goal is simple – remove the rotten and black pumpkins. 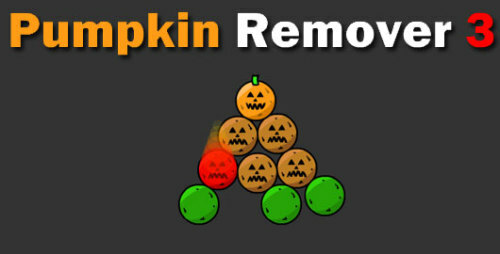 You can remove the rotten pumpkins by clicking on them. Black pumpkins are a little more tricky though, either set them on fire or make them fall out the screen to get rid of them. One last thing – don’t let any fresh pumpkins fall off the screen. This game is Halloween themed spin-off of Red Remover, hope you enjoy it! Remove the rotten and black pumpkins. You can remove the rotten pumpkins by clicking on them. Black pumpkins are a little more tricky though, either set them on fire or make them fall out the screen to get rid of them. One last thing – don’t let any fresh pumpkins fall off the screen. Puzzle Red Recover in style Halloween! I like!! !